Turkey is the location of the Seven Churches of Asia. "Overall the trip was incredible. Thanks you! 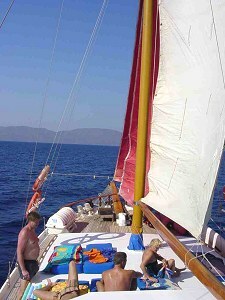 After doing the gulet I wished I had 2 nights in Olympos so I could have done some of the activities there. Great trip. Great guide!" Starting and ending in Marmaris. 8 days sailing on the Mediterranean, all meals included. Total relaxation, have a swim, take a drink, read a book and that's the biggest decision you'll need to make. Arrive at Fethiye Harbour early in the morning where you have chance to visit city centre. We offer the option of a jeep safari tour in Fethiye. For those who will not join the Safari, the boat will cruise to Samanlik Bay for lunch and swimming. 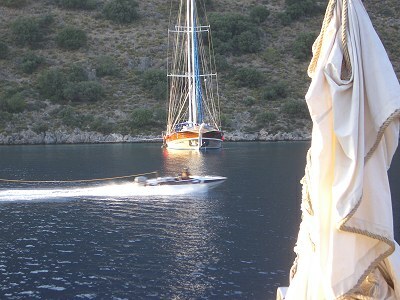 Afterwards around 16.00 the boat will anchor at Ece Saray Marina for the night. After breakfast we cruise to Gocek. Enjoy a relaxing afternoon swimming and tanning before cruising to Yassica Island.